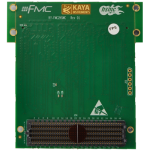 The KY-FMC2HSMC is an adapter board designed to enable connection of industry standard HSMC cards to FPGA boards with FMC interface. 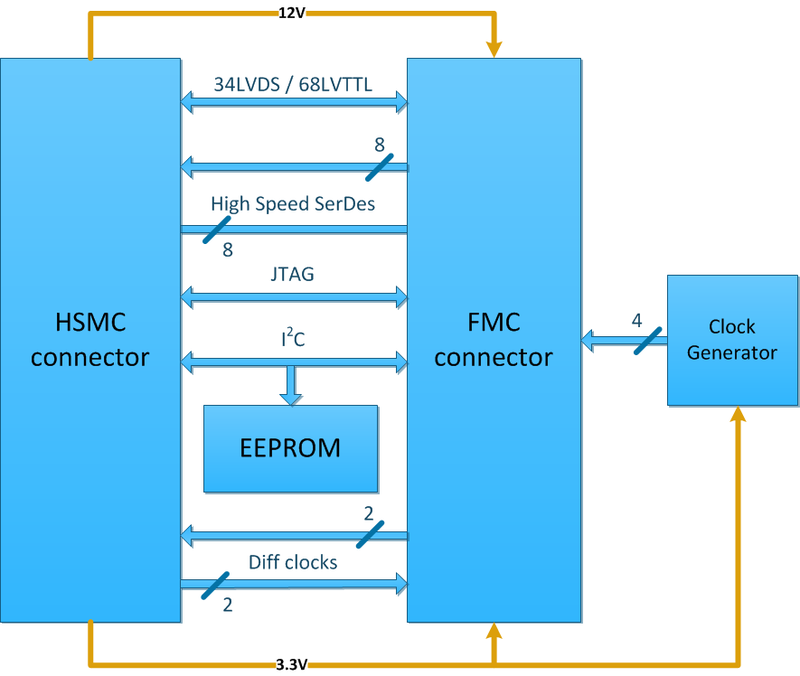 The FMC2HSMC is an adapter board is designed to support full duplex high speed serial signals (SerDes), as well as LVDS or single ended signals. The FMC2HSMC uses a standard HPC connector as an interface to the host board and a standard HSMC connector as an interface to the mezzanine card.